Most Sibenik accommodation is in the Solaris resort southwest of town, a vast complex of hotels, camping and some apartments. It's great for families because the beach is shallow and offers safe swimming for the kids. The resort area is impressive, noted for its Palma Beach Club which offers morning to midnight fun including pools, watersports and skilled DJs to keep the ambience humming at night. 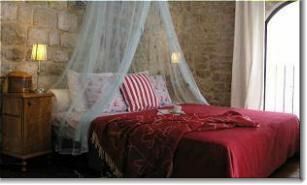 Historic Sibenik is also an attraction of course and an increasing number of hotels in town have been upgraded. Sibenik's only five-star hotel is located at the Mandalina Marina.